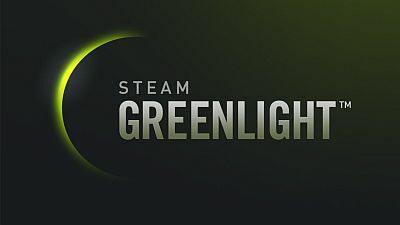 Attempting to automate a selection process that had showed some shortcomings, Valve decided to launch Greenlight in 2012. Greenlight is a mechanism that allows everyone to vote “yes” or “no” to support a game being published on Steam. Games must be inserted by their own developers.The titles with the highest number of votes are periodically “greenlit” by Valve and put up for sale on Steam. The following is my experience as a developer on Greenlight. As soon as Valve decided to accept software submissions, in addition to games, the moment seemed perfect to put Mosaico’s popularity to the test on Greenlight. I paid the submission fee (90 euros) and started creating the product’s page. I wrote a description, uploaded some screenshots, filled some fields and everything was set. Mosaico’s page on Greenlight went live on December 27th 2012, getting 7 positive and 17 negative votes. The next day the visits were an impressive 101 with 31 positive votes. Initially I was a little bit worried about the 1/2 positive to negative ratio, but then I realized that only positive votes count and, after all, you can’t please everyone. Ultimately I had put Mosaico on Greenlight well aware that it was a long journey, and that the greatest benefit was to have users feedback and a great exposure. Unfortunately the number of voters didn’t raise anymore, on the contrary it started to fall from that moment on, through ups and downs. The only thing remaining stable was the 1/2 yes to no ratio. After a couple of terrible days (with 0 and 1 positive votes) I thought that something was necessary in order to shake things up. I spent a couple of hours between Camtasia and AudioJungle and came up with an half-decent catchy short video that I put on Mosaico’s Greenlight page. I started to receive comments from interested users, who liked Mosaico and who clearly understood its core features. I think that users feedback is the best thing a software developer could ask for. So I thought about a way to encourage user to drop as many comments as possible. Greenlight terms and conditions say that once your game/software is published on Steam you can generate as many keys as you want. So I managed to start a “Drop a comment, get a free Steam key” promotion. Each user that writes a comment now and buys Mosaico when it’s released on Steam, will receive an additional free key to gift a friend. The frequency of comments raised from about 1 per week to 4/5 a day. The number of daily voters seemed to be higher too, so maybe Greenlight shows to users a more active title more often. Things started to go well for Mosaico, as it raised in ranking by 10 positions and the yes to no ratio improved to 1/1 and better, after the new video and promotion. So, everything is perfect and we just have to wait for an higher and higher ranking until some day Mosaico will be selected for Steam, right? No. The experience I had with Mosaico brings to light what, in my opinion, is a big shortcoming of Greenlight. Positive votes (hence the chance to be published on Steam) started to increase after I had inserted an engaging video and an interesting promotion. But the software itself didn’t change! In other words the current Greenlight mechanism rewarded my ability in communicating my work, but not the work itself. Every developer who has tried to sell his game/software knows how marketing is a difficult and time-consuming task. I, as a developer, saw in Greenlight the opportunity to be relieved from an hard duty. I saw the hope to focus on developing an excellent software, leaving to Greenlight the big chore of promoting to a vast audience. What I’ve found instead is a very well-built mechanism, which has the same difficulties of other “traditional” promotion means such as building a website or an ad campaign to drive web traffic. The promise of a place rewarding the quality of work, independently of developer’s communication skills, has not been honored. So, in this sense, I believe that Greenlight is a failure. But is Greenlight scrap? I don’t think so. A lot of people remember the terrible opinions circulating in internet about the first versions of Steam itself. If today it is the best platform of videogame digital delivery, we can’t do anything else than trust Valve and their ability in improving their products. There are a lot of viewpoints on how to improve Greenlight. Some say that yes/no ratio should be considered instead of the total number of votes, some say that Steam should be open for all to sell in “stealth” mode, and then Valve could bring the best products to the storefront. My proposal is maybe more revolutionary, but not without a reason. Basically: why not transform Greenlight in a subscription service, similar to Sony’s Playstation Plus? Once the game/software is published on Steam it is removed from Greenlight, but subscribers can purchase it with a good discount. This kind of mechanism would solve many of the most serious problems Greenlight has now. For example the rushed votes based on few seconds of a video, or the lack of interest by users in going through a dry list of titles. Users would benefit from a huge selection of titles for a small subscription fee. Developers could focus on development, knowing that the selection process will be based on actual usage and not on purchase intentions. Valve would automate selection process relying on data more solid than a click on a button (and let’s not forget the revenue from subscriptions). I’m not saying that this method is perfect, but I think that the outcome could be what Valve is trying to achieve from the beginning. A paid subscription may seem an obstacle, but on the other hand the developers submission fee greatly improved the quality of Greenlight titles. Reading this, one may infer that my experience with Mosaico on Greenlight is negative. Not at all! First of all it allowed me to have a lot of precious feedback on Mosaico features, on how the users uses it, on pricing etc. It also allowed me to become part of the Steam developers community, incredibly rich in interesting people and ideas. On top of that the traffic towards www.soulidstudio.com increased considerably and Mosaico sales increased as well. All in all it’s an extremely positive experience, and I hope that Valve will improve it and change Greenlight into a tool of real videogaming democracy.